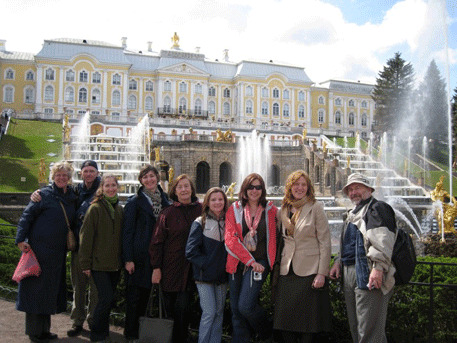 Dr. Uliana Gabara, Dean and Carole M. Weinstein Chair of International Education, led a group of nine faculty members on an 18-day in-country seminar to Russia, Kazakhstan and Kyrgyzstan. The seminar was preceded by several months of personal research and on-campus presentations, including a lecture by former Ambassador to Kazakhstan, John Ordway. While in Russia, Kazakhstan and Kyrgyzstan seminar participants met with counterparts at current and potential Richmond exchange universities, as well as experts on the region's culture, politics, economics, environment and educational system. They also visited some of the region's most important cultural and historical sites.